I was working on a Microsoft CRM 4.0 system the other day for one of my clients. It's mainly used for demo and testing purposes so it hadn't been used in a while. The customer was unable to login to the server. When they tried to login to CRM via the browser, they just got a message saying "Invalid User Authentication". I spent quite a while checking security settings, IIS settings, etc. Didn't really see anything CRM-related in the server event logs either. But I did see one error showing up at the exact moment the user was trying to login. But the source wasn't MSCRM, it was ASP.NET 2.0.50727.0. Event ID 1309. There was a long list of details on the error but the part that jumped out at me said this.. So it sounded like they had more active user accounts than licenses. This is possible since the company was imported from another domain with different user accounts and probably not mapped appropriately. I think originally they were on a 30 trial installation and hadn't registered it so maybe that gave them an unlimited number of users during the trial period? Since I had just registered it earlier to solve a different error, that might have kicked in the quota problem. Though it seems like the browser login should have told them about being over quota, rather than having to dig into the server logs? Anyway, I ended up going directly into the SQL tables and making some changes. I went into the SystemUserBase table. I was looking at the IsDisabled (bool) column. Should be "True" for disabled users. After counting the number of active users in the table, they were definitely over their 5 user license. So I manually changed the IsDisabled value to "true" for all but 5 users. Then I was able to login to CRM with no errors since they were now within their quota! While you are there, you can also adjust the TYPE of user account via the AccessMode (int) field. 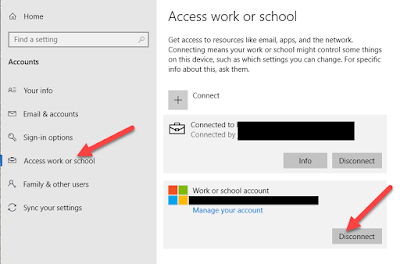 0 for full access, 1 for administrative access, 2 for read-only access. But this isn't necessary to fix the user quota error message. I didn't see this error documented anywhere else so hopefully this post will show up in Google and help some other folks. whooohooo. this solved my problem. thanks! Superb article. I read really enjoyed article here.Selenium Training in Chennai It's really amazing article blog.And it hopes to you very helpful to me. Thanks a lot share this amazing post. In recent days Angular plays vital role to loading your site content in a fastest way, so it’s a required skill for everyone, thanks for sharing this useful information to our vision keep blogging. I never understood why everyone is using the system from Microsoft, this is not the best and most convenient way, especially for a small beginner. Often I use CRM plugins free crm for small business that are more easy to use and have a lot of interesting options. This is for those who know the price of time and does not want to have unnecessary problems and hassle. Great post. It is really helpful and thanks for taking the time to share this post. Thanks for sharing this web page. It was really helpful to me. I have about Microsoft CRM, keep sharing more like this. Very interesting blog...its really nice.. Your blog is nice and informative,its really useful for me.Thanks for sharing this wonderful article..
Good Post..Thanks for sharing this awesome article.. It was such an amazing experience. I'd like to thank all my tutors for their supports throughout the course and the most enjoyable classes ever and the administrative staff for the smooth process. Really you have posted an informative blog. before i read this blog i didn't have any knowledge about this but now i got some knowledge. so keep on sharing such kind of an interesting blogs. Nice information my sincere thanks for sharing this post Please Continue to share this kind of post. Great article..thanks for sharing your useful information here. Useful post...Thanks for sharing such an interesting blog. Really useful information,thanks for sharing..
Really an amazing blog with smart and cute content.keep updating..
Really interesting article, good information. Keep sharing. I am happy to read your blog,its really useful for me,thanks for sharing your creating knowledge with us..
Great post! Thanks for sharing with us, Its really gives lot of useful information. Come and learn with Aorta, the best java training institute in Chennai offering the best platform to learn and get the depth of Java. Your Blog is really amazing with useful information you are shared here...Thank you for sharing such an informative and wonderful post with us. Keep updating. Thank you so much for sharing your informative post.Its really useful for me.keep updating such a wonderful post with us.. I found a lot of interesting information here. A really good post, very thankful and hopeful that you will write many more posts like this one. It was a really great experience. We had a really hard time because of four weeks, but at the end of the day it was awesome. Thank you so much for sharing such an informative information with us.keep updating such a wonderful post with us..
Really you build a very good article. Your blog is very nice and i gather lot of information in this blog.Thanks for sharing. Keep sharing more blogs. Awesome Post!! !You have clearly explained .Its very useful for me to know about new things. Keep on blogging. Really very informative post with useful information you are shared.keep updating such a wonderful post with us.